Crock Pot Spicy Pork Tenderloin gets so tender in the crock pot it just falls apart. I love pork served with any meal. You can add more or less spice to suit your taste in this one. 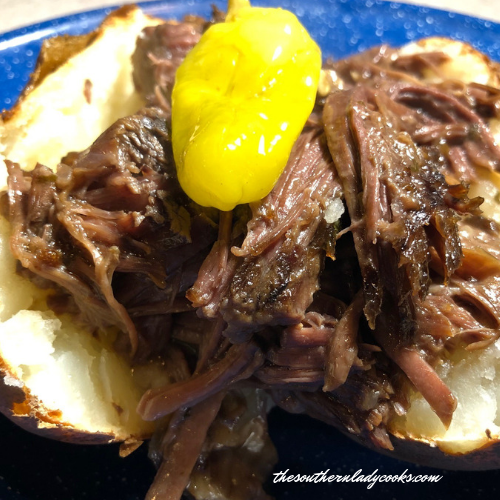 A great dish to serve with just about any side dish you and your family like and so easy in the crock pot. We love it with Southern green beans and potatoes and skillet fried corn. This recipe is even better the second day! Place your pork loin in the crock pot. Whisk together all the remaining ingredients and pour over pork loin. Cook on low for 7 to 8 hours or high for 4 to 5. Serve sauce from pot over meat and garnish with extra chopped green onions. Makes 6 to 8 servings depending on size of your tenderloin. Enjoy! 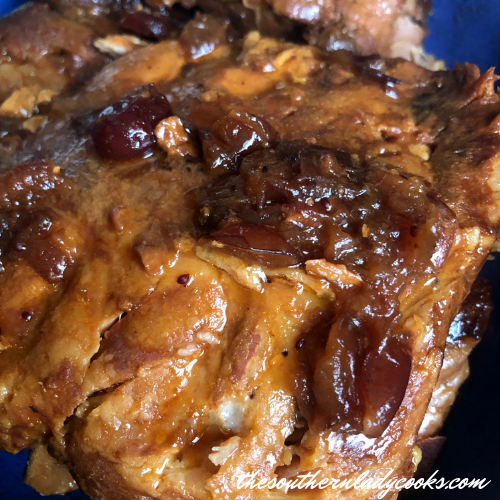 Don’t Forget to Pin Crock Pot Spicy Pork Tenderloin! Feel free to “share” by clicking on the Facebook, Pinterest or Twitter icons below. You will be able to print by clicking on the green printer icon at the top and bottom of each post on this site. This is one of the best recipes I’ve ever tried. I diced a few potatoes and put them in the bottom of my crockpot, then the loin, then poured the sauce of it. It was wonderful. I thought my husband was going to lick his plate. I also mixed up some of the sauce and used it to marinate pork chops which was another huge hit. Then a few nights ago I tossed potatoes in the crockpot with boneless ribs and the sauce. The last 20 min of cooking to threw some corn on the cob in there. Love this recipe. Thank you so much Nancy. I am so pleased that you liked this recipe and will make it again. Have a great Christmas. I have made this several times and everyone raves about it each time. I thicken the sauce with a little cornstarch once it is all cooked. I swapped out the butter for canola oil or coconut oil so it would by dairy free and glutten free for my 2 daughters. Do you slice the roast before putting in crockpot? No, I don’t slice it, Cheryl, but I guess you could if you want. I made this today, Judy, and it was delicious! Thank you so much for the great recipes. Can leave out the butter? Yes, I think you could Sue. Trying this tomorrow with turkey wings, omitting butter. Think I’ll serve it with green beans and mashed potatoes. Hi , can I put vegetables in with the pork tenderloin . I can’t wait to try it ! This sauce is kind of like barbecue sauce on the meat. It depends if you want the vegetables to taste that way.